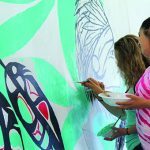 Well-known Native artist, Toma Villa, traveled to Tulalip and spent July 13 and 14 working with more than 80 summer youth workers on creating mural projects inside the Kenny Moses Building. 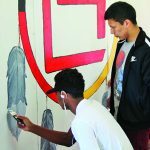 Toma, who is a registered member of the Yakima Nation, has spent the last few years traveling to various reservations and inspiring Native youth to find their inner artist. 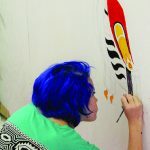 Toma uses Native American themes in the murals he paints. 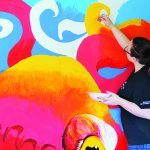 To date he has created 18 large-scale murals in four years that are “all up and down the Columbia River,” he says. 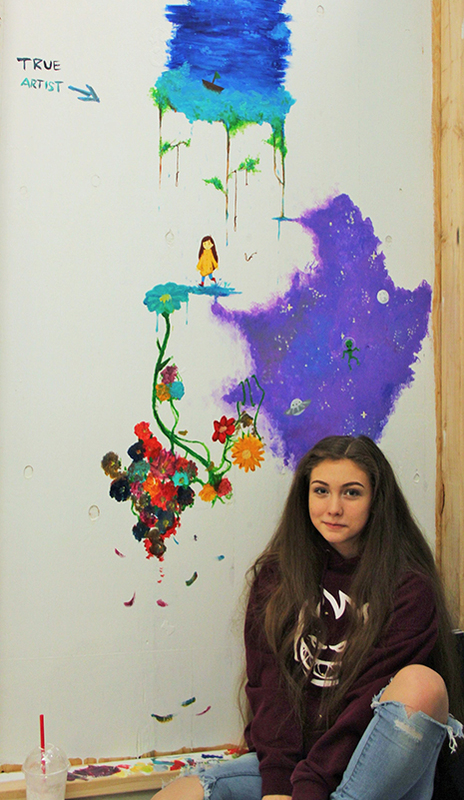 The two-day crash-course painting workshop was the largest Toma has ever done. 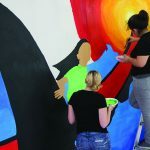 Usually he works with 10-15 youth at a time, but he was up to the challenge of working with the large group of 80 summer youth workers Tulalip had in store. Among the group of 80 were artists of all skill levels. 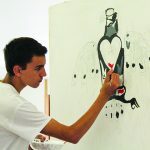 With Toma helping with inspiration and guidance, every one of the youth were able to find their inner artist. 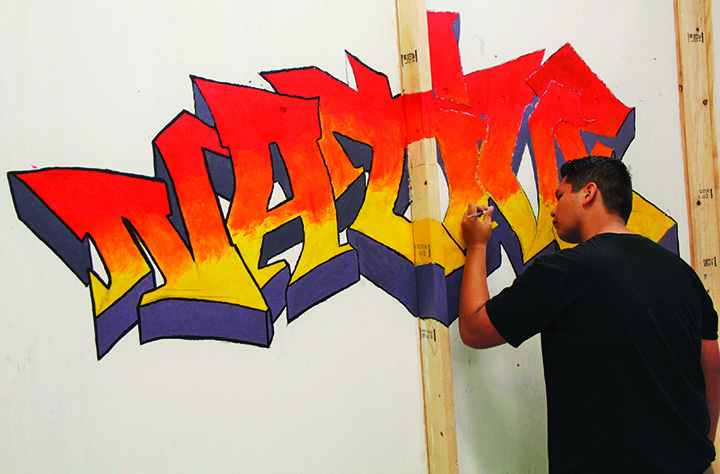 There were teams of youth working on larger murals, while some preferred to showcase their solo talents with their stroke of the paintbrush. 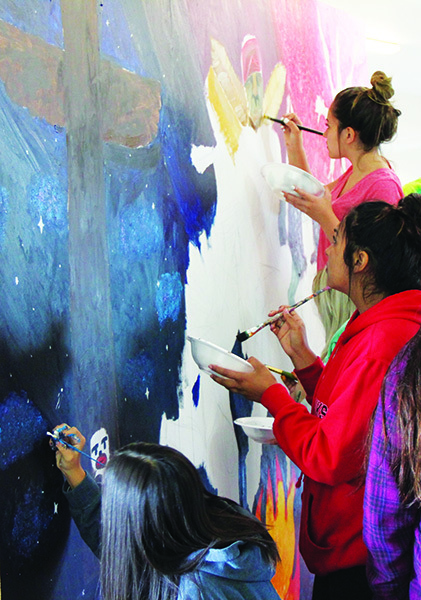 The finished murals are in the process of being hung up around the Tulalip Youth Center for all to see. 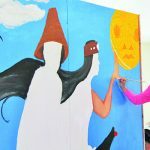 This entry was posted in Arts & Entertainment, Local News, News, Tulalip News and tagged artist, Native Youth, painting, Toma Villa by Kim Kalliber. Bookmark the permalink.